Fishermen Find Prehistoric Shark With More Than 300 Teeth! The South East Trawl Fishing Industry Association recently uncovered a rare prehistoric shark whose origins date back more than 80 MILLION years ago! It’s a pretty unsettling sight, a glimpse back into the days well before humans and even dinosaurs. 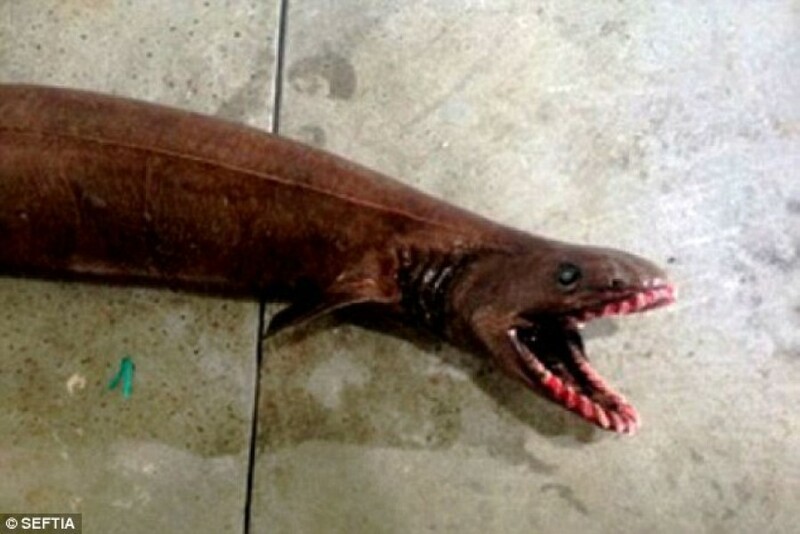 The fishy beast is officially known as a ‘Frilled Shark’ or a ‘Living Fossil’ (due to the species’ age) and comes complete with more than 300 teeth in its mouth. It was two metres long and had an incredible 26 rows of teeth! The unusual discovery was made in Lake Entrance in Victoria, in Australia. The creepy brown eel-like lake monster is thought to be one of just two species which remain from its period, almost 100 million years ago. It was caught at almost 700 meters beneath the surface of the water. 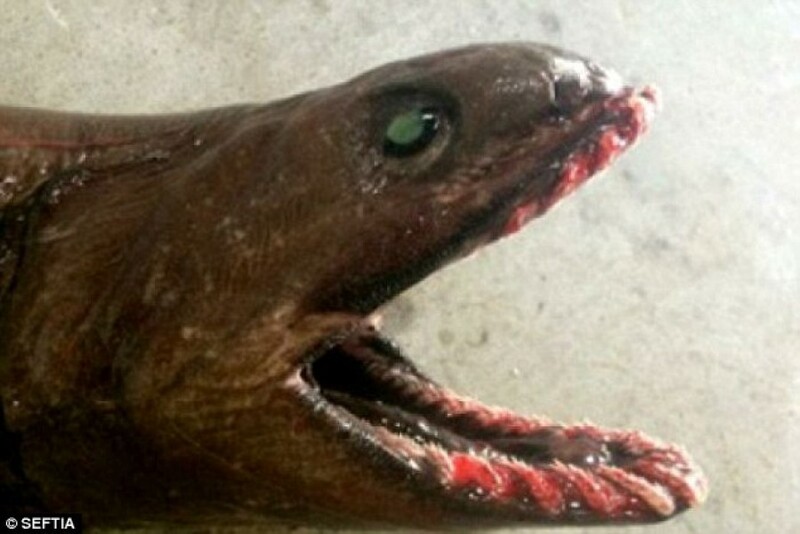 Usually the Frilled shark can only be found at double that depth, normally at about 1500 meters below. So the fishermen who caught it were understandably surprised. And scientists are baffled. 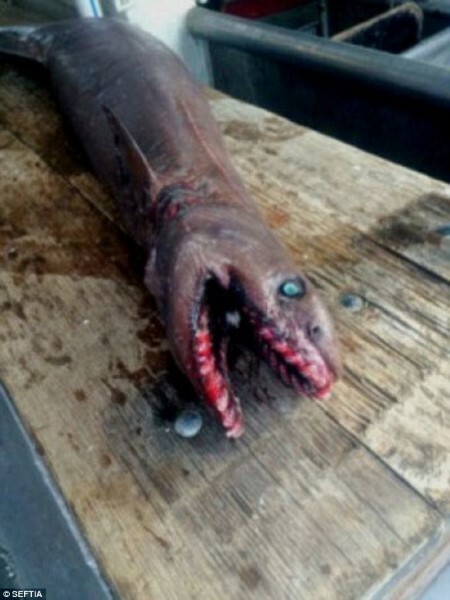 Imagine finding one of these bad boys on the end of your fishing line! Previous articleHe Does Something When Home Alone With The Kids That His Wife Would NEVER Expect. Next articleThis House Is Only 280 Sq. Ft… But Just Wait Until You See Inside – It’s Incredible!